"Bacon Bits are like the Fairy Dust of the Food Community." Jim Gaffigan. So True. Everything may actually be better with bacon. Some even call it "Meat Candy." I don't know about that one, but I do know that some bacon will make my hubby eat things he would otherwise turn his nose up to. Like Spaghetti squash. Butter won't do the trick. Neither will cheese. But add bacon and brats? You have a hubby pleaser! The bacon flavor comes double--even triple-- in this recipe. 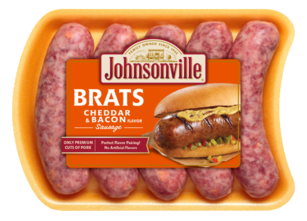 First and foremost, is the wonderful flavor of the Johnsonville Brats--the Cheddar and Bacon Brat. 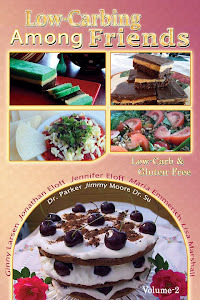 Not a bad carb option at 2 carbs per link. 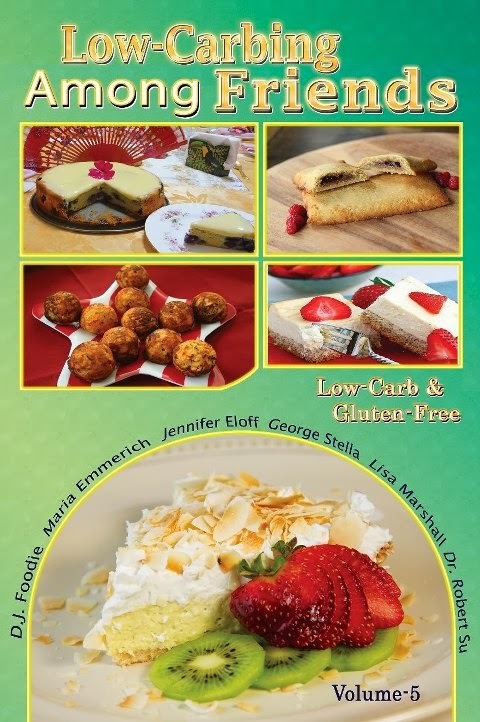 Gluten free too. These are super tasty. The next layer of bacon flavor comes in your choice of options. 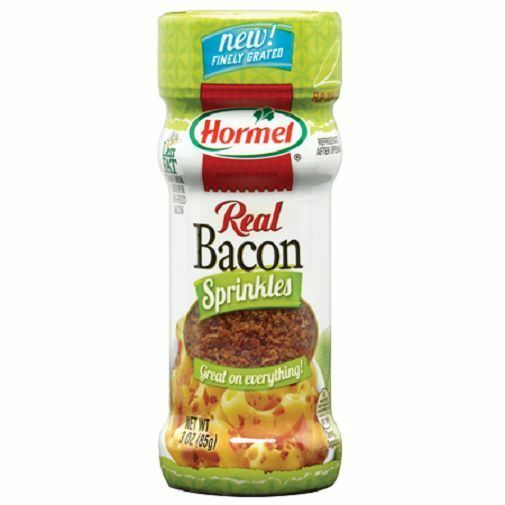 I used Hormel Bacon Sprinkles. Tiny bits of real bacon that adds just a touch of bacony goodness to so many foods. And no prep for me. I can just shake them out of a bottle. You can also use J & D Bacon Salt. If you want to spend some extra time in the kitchen, I am certain some home fried bacon crumbles would be amazing too. But I am lazy. Sometimes. Like today. The 3rd bacon flavor wave comes from the Bacon Ranch dressing. That is my hubster's favorite. Another lazy thing I do is to cook my spaghetti squash in the pressure cooker. So easy to handle. I like the texture too. I cut mine in half, scoop out the seeds and pulp, then pressure steam (with a cup of water in the base) for 12 minutes. 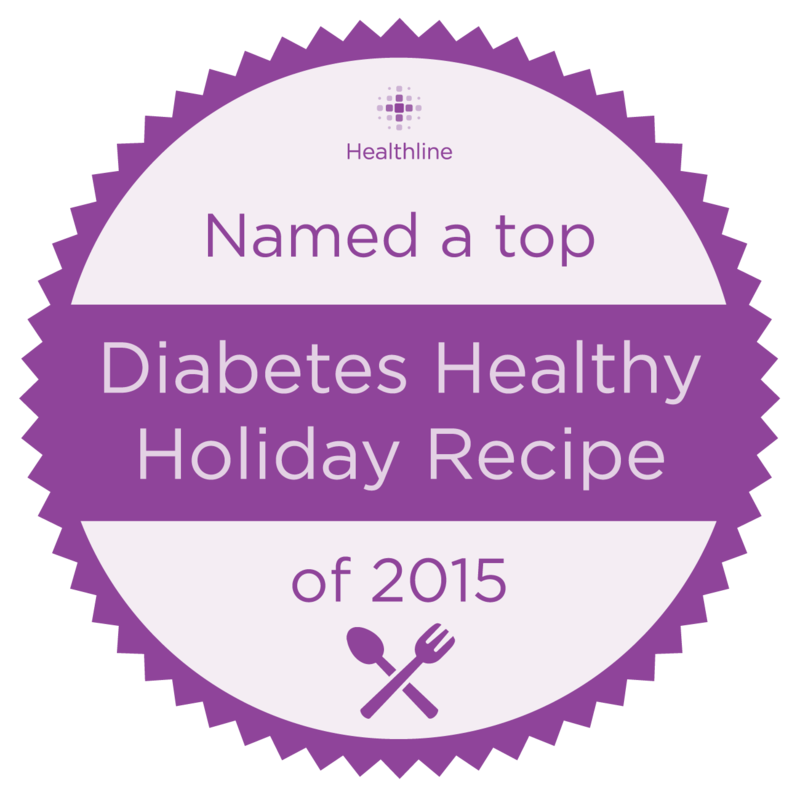 This is slightly undercooked--perfect because we will be baking again once we have that yummy sausage filling. Cut the spaghetti squash in half and remove seeds. (They cut easier if microwaved 5 minutes and cooled) Cook squash in an oven or pressure cooker until the skin pierces easily with a knife. While squash is cooking, brown the brats in a skillet for 5 minutes. Then add 1/2 cup water and braise the brats in a lidded skillet over medium heat for 15 minutes. Add sliced onion. Sauté until onion is golden. Remove sausages and slice into rounds. Cut squash halves half again, leaving you with 4 wedges. Lightly beak up squash with the tines of a fork, but leave the outer shell intact. Distribute 1 tbsp Ranch dressing into the squash strands of each wedge. 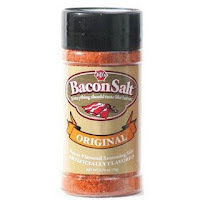 Sprinkle Bacon salt or Bacon Sprinkles and salt over strands. Top with 2 tbsp of cheese on each wedge. Divide the sausage and onion mixture among the wedges. Top with remaining cheese. Place into a 425 degree oven until cheese is melted and just beginning to brown, about 10 minutes. 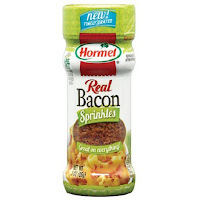 Drizzle with a touch more Bacon Ranch Dressing and Bacon Sprinkles for garnish. So that is my culinary artistry for this week. I needed easy since I made a few dozen cake balls for last night's prom. The theme was a night in the Big Apple, so I made them in the colors of Tiffany's of New York. Not sure the students picked up on that one. So my cakepop maker got a work out, but not a low carb one this time! My cake pops are on the right side of the photo--almost cropped out. Funny how I don't get good shots for foods I don't make for the blog! It was a fun event, though tiring too! My wife did this for me and this was pure awesome, thank you! Man Pleaser Spaghetti Squash and Sausage, My husband's favorite dish. I was searching for this recipe since quite long because I want to surprise by husband by presenting him my handmade Spaghetti.